Ed Morrissey has a few thoughts on the sad state of affairs that opportunistic fame-chaser, Gov. 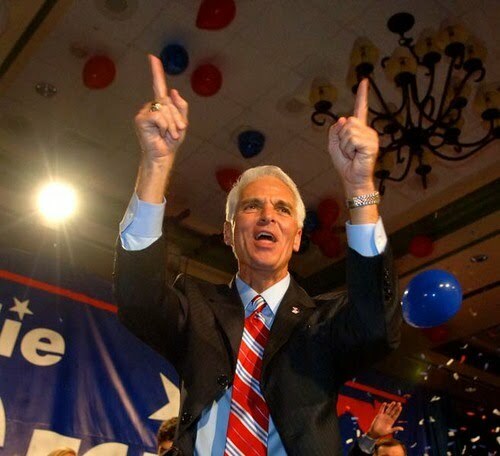 Charlie Crist, finds himself in. The situation is totally of Crist's doing and demonstrates why principles are important things--even more so than technocratic understanding or extreme wonkishness to someone who aspires to leadership. 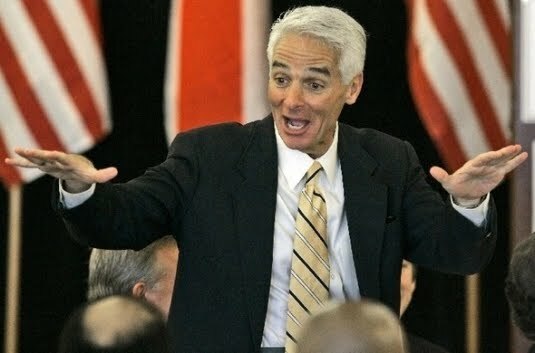 Many have questioned Crist’s sense in abandoning his party for a one-shot run at the US Senate, and this will only deepen the conviction that Crist has completely taken leave of his senses. Does he really believe that in 2010 the electorate wants to endorse current Democratic leadership in Congress? How many independents does he think he’ll win by assuring them that he’ll vote to maintain the status quo if he goes to Washington? Crist has become a Party of One, trying to join a Caucus of One. That’s likely to be a great description of the rest of his political career. "Float like a butterfly, waffle like I.H.O.P." "I could vote for a Democrat as Senate Majority Leader." That all the soundbite you need if you're Marco Rubio and looking for way to portray Charlie as the anti-Crist. Crist will be one of those politicians who was successful, not because he did a good job, but because he was in the right place at the right time. He's now demonstrated his competence by forcing himself into the wrong place at the wrong time and saying the wrong things to give the right impression. Be all you can be, Charlie!